Piershill Cemetery can be found on the right hand side of Portobello Road (A1140), on the way to Portobello. Tidy and well kept, this cemetery is the last resting place for two holders of the Victoria Cross (VC) and a Jewish Cemetery containing a Jewish Soldiers war memorial. 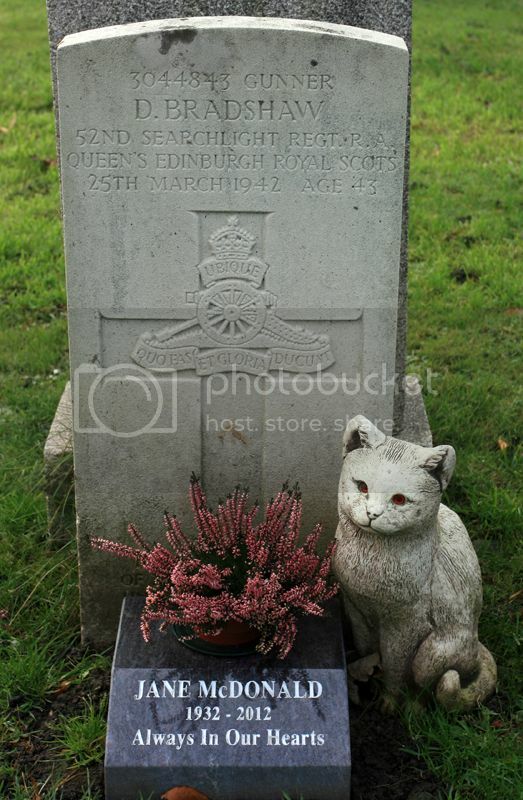 Private 19th Regiment (Yorkshire Regiment-- Princess Alexandra of Wales Own). London Gazetted on 23rd June 1857. Born on in 1821 at Paisley, Renfrewshire, Scotland. Died on in October 1901 at Edinburgh. 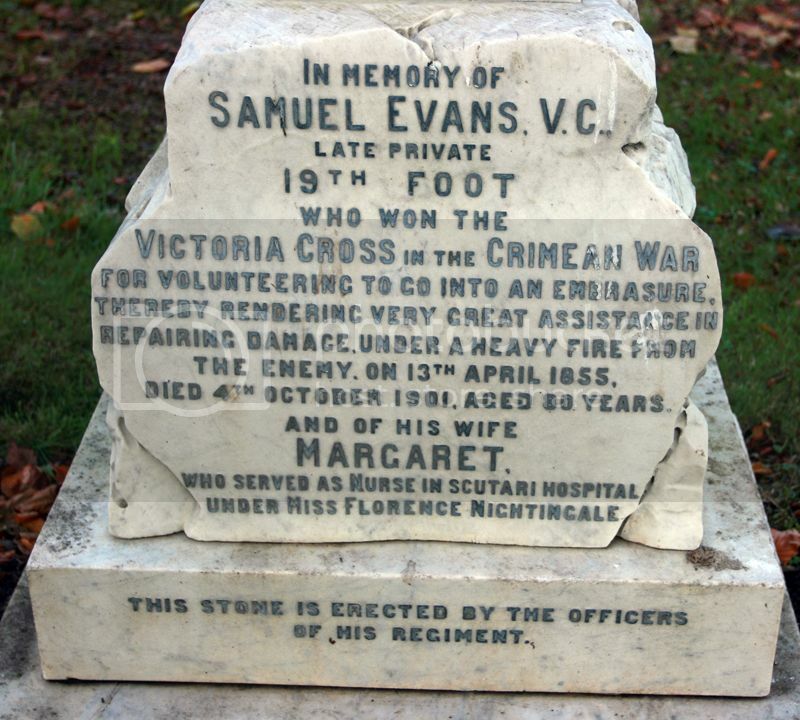 On 13th April 1855 at Sebastopol, Crimea, Private Evans volunteered to go into an embrasure to repair a breach. He and another private went into the battery and leapt into the embrasure, where they carried out the necessary repairs under very heavy fire. 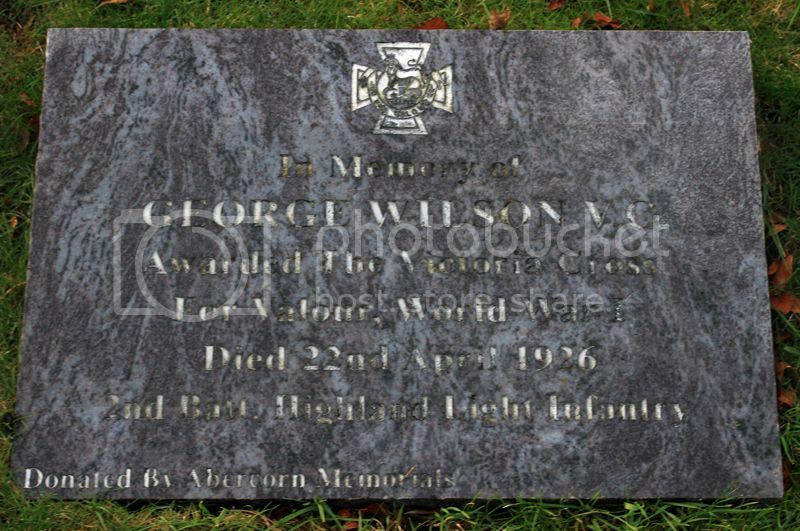 Wilson was 28 years old, and a private in the 2nd Battalion, The Highland Light Infantry, British Army during the First World War, during the First Battle of the Aisne, when the following deed took place for which he was awarded the VC. No. 9553 Private George Wilson, 2nd Battalion, The Highland Light Infantry. For most conspicuous gallantry on the 14th of September near Verneuil, in attacking a hostile Machine Gun, accompanied by only one man. When the latter was killed, he went on alone, shot the Officer and six Men working the Gun, which he captured. Grave Reference: Sec. J. Grave 1031. 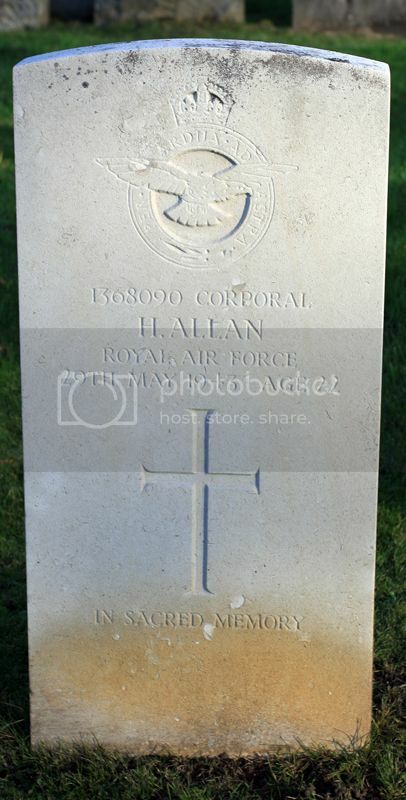 Additional Information: Son of William and Letitia Marion Allan; Husband of Wendy Veronica Allan of Edinburgh. Grave Reference: Sec. J. Grave 213. 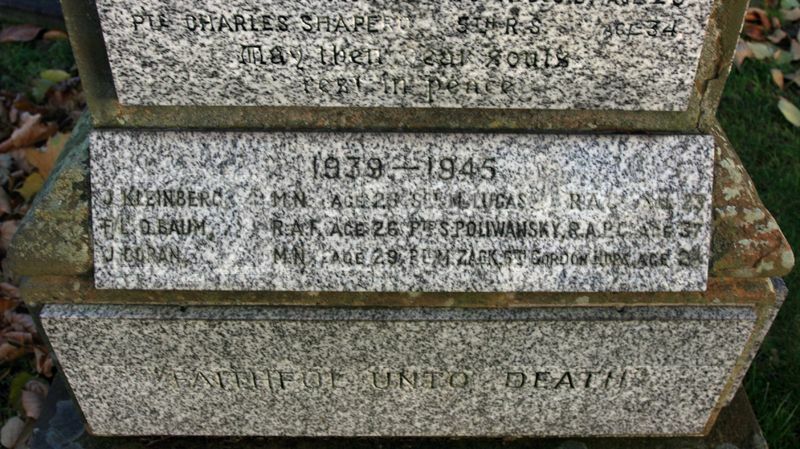 Additional Information: Son of Thomas Lowrie Allan and Jane Campbell Allan of Edinburgh; Husband of Jane Nimmo Allan of Edinburgh. Additional Information: Son of Alexander and Christina Anderson; Husband of Elizabeth Scott Anderson, 38 Milton Street, Edinburgh; Born in Strichen, Aberdeenshire. 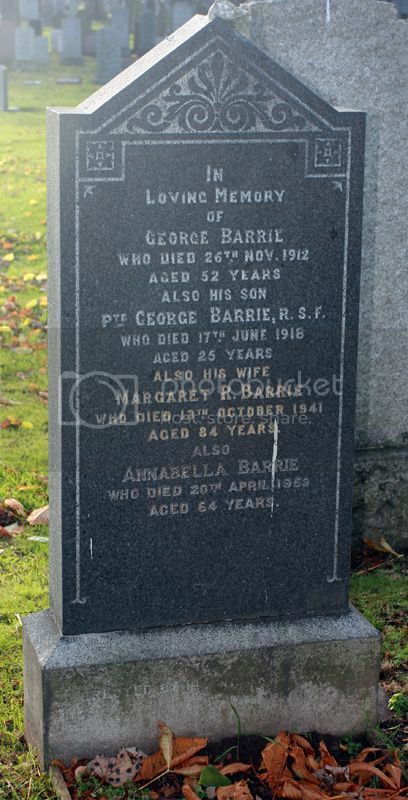 Additional Information: Son of Margaret Barrie and the late George Barrie, 6 Waverley Park Terrace, Edinburgh; Born in Musselburgh, Midlothian. 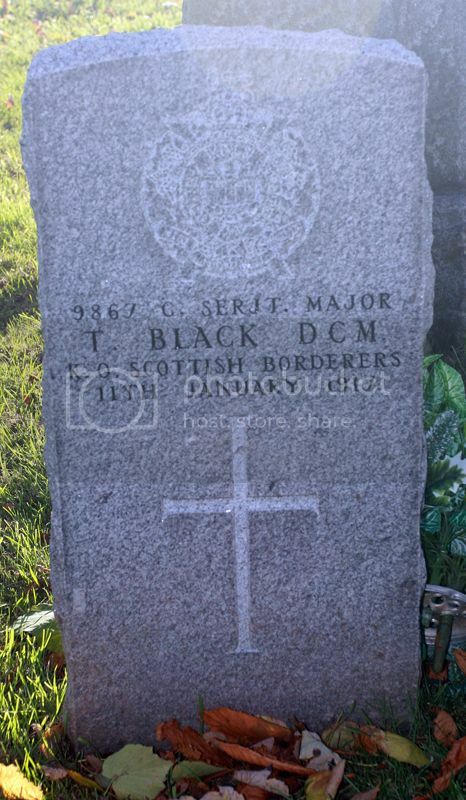 Additional Information: Husband of M. Barrowman, 14 Bankkock Terrace, Dennyloanhead, Stirlingshire. Grave Reference: Sec. C. Jewish. Grave 438. 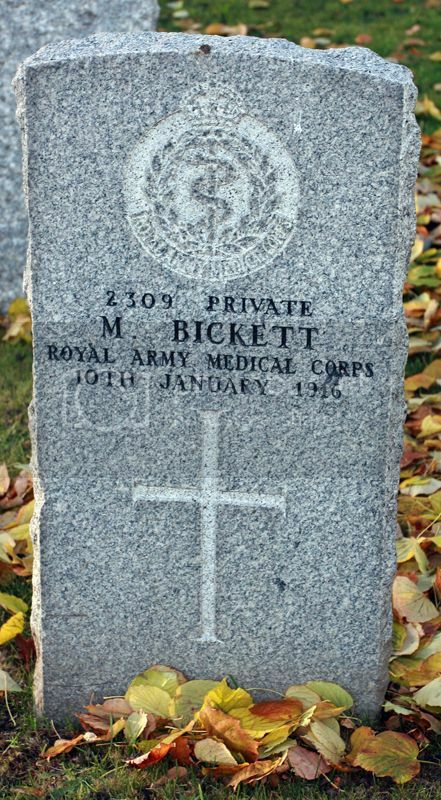 Additional Information: Recorded on memorial to Jewish Servicemen - to view memorial see listing at end of Commonwealth Graves listing, before Family Headstone listing. 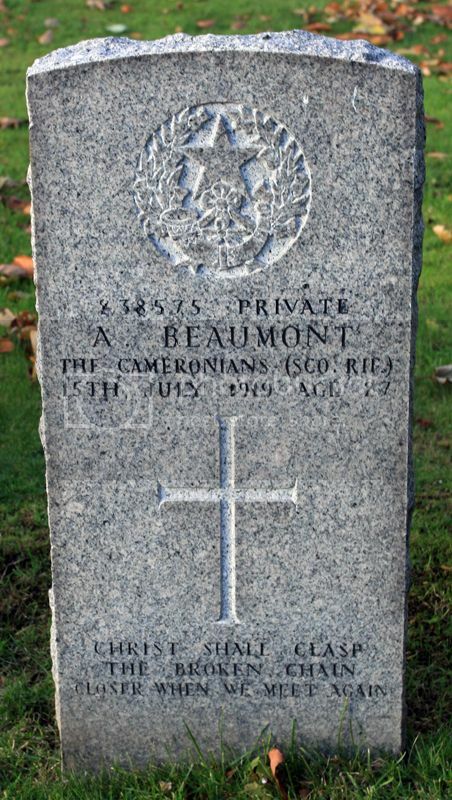 Additional Information: Son of Alexander and Jessie Beaumont, 114 Canongate, Edinburgh; Born in Edinburgh. Grave Reference: Sec. N. Grave 538. 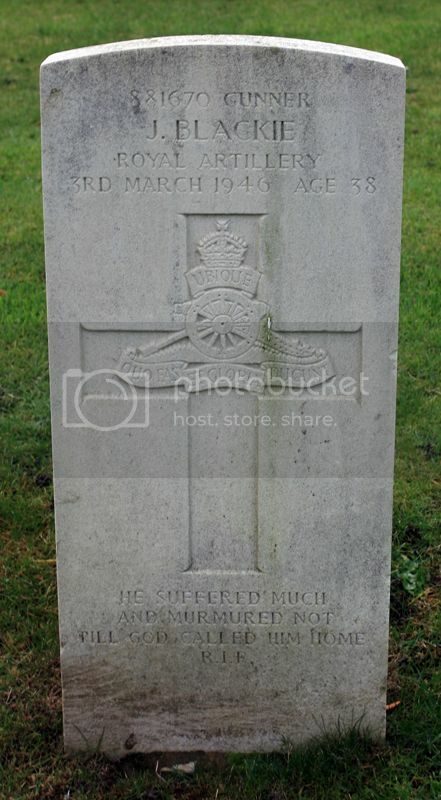 Additional Information: Son of Mary Jackson of Edinburgh. Grave Reference: Sec. M. Grave 612. 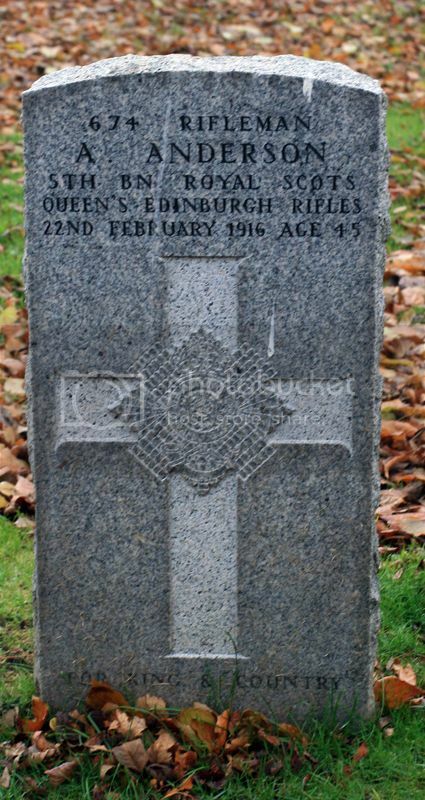 Additional Information: Son of Jane Bradshaw of Edinburgh; Husband of Elizabeth Bradshaw of Edinburgh.